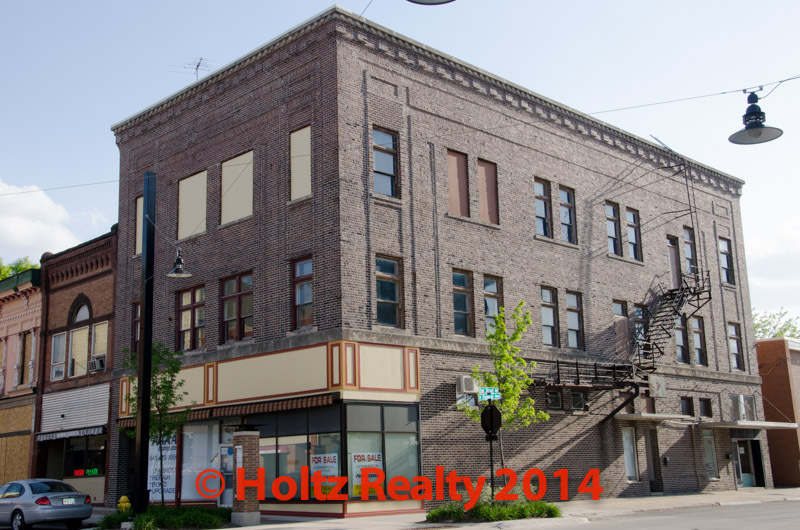 Share the post "Opportunity is Knocking"
Today I listed a three story building in the heart of downtown Mason City. With the completion of the Streetscape project on Federal Ave and the Main Street grants underway, we are seeing the whole district being transformed into a vibrant place to work and live. Each year I find more and more real growth taking place downtown. This particular building was very well built back in the year 1912 and severed many purposes. There was even a dance hall on the 3rd floor. The main floor has 2 independent offices, the basement has a long term tenant, there is a computer shop on the main floor, and the second floor has a tenant. The front office on the main floor is vacant and ready for any type of professional use. I remember when the second floor was the home of Hamilton Business College for many years. There are gorgeous maple floors on the second floor as well as areas of the first floor. The separate entrances for the businesses afford more privacy and independence for each of the rental units in the building. I was quite surprised to find the basement in such good condition. The roof has a DuraLast material that was installed approx. 8 years ago. The heating and air conditioning units are relatively new as well. The 3rd floor is pretty much a blank canvas with a large open area which was the dance hall many years ago. I see long term value written all over this structure. One could utilize the entire main floor and basement as one office/business and in time expand into the second and third floors. The possibilities are endless so don’t wait because this is a rare opportunity that is knocking. Click on the link here to view this listing.